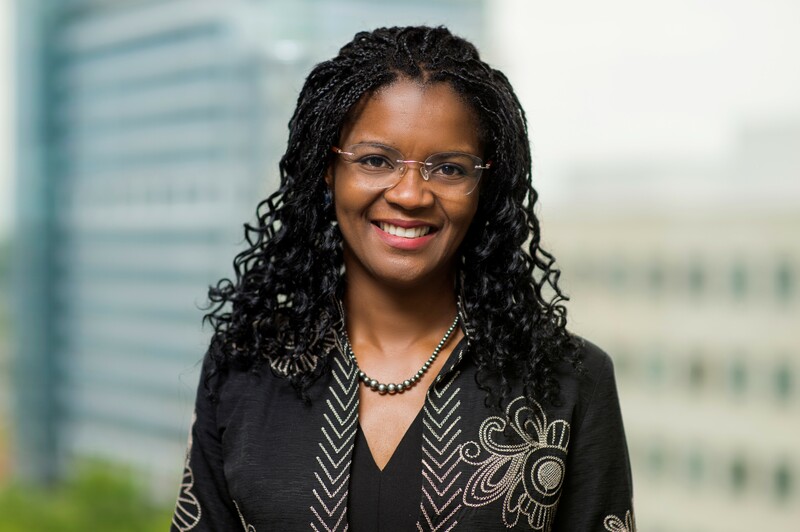 Cassandra Okechukwu has over 15 years of experience in health care and public health, including HIV/AIDS, substance abuse, occupational health, and community research methods. Her chief expertise is using knowledge from social sciences to design and evaluate health programs, policies, and technology. Prior to joining MITRE, she was an associate professor at Harvard T.H. Chan School of Public Health. She has chaired or served on several advisory boards on occupational health and social determinants of health for National Institutes of Health and Centers for Disease Control and Prevention. Okechukwu earned a bachelor’s degree in nursing from the University of Maryland, Baltimore, and a master’s degree in nursing and master of public health degrees from the Johns Hopkins School of Nursing and the Bloomberg School of Public Health, respectively. She also earned a doctor of science degree from Harvard T.H. Chan School of Public Health.